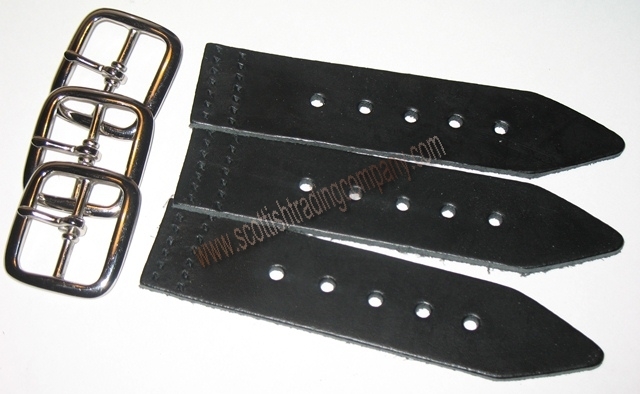 Kilt Strap and Buckle Extender. Has your kilt "shrunk"? Sometimes this happens even with the best kilts over time. Our Kilt Strap and Buckle Extender solves this problem. All one needs to do is buckle this new strap unto the existing kilt strap, then buckle the new strap end to your kilts buckle. A simple and affordable fix that will extend your kilt up to 6 inches! 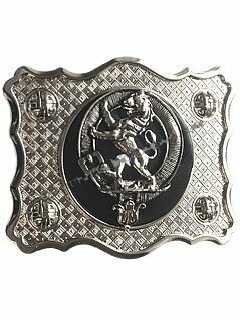 Made for standard kilt strap of 1 1/4". Sold individually or in lots of 2 or 3 for even more savings. 100% leather and reinforced with a steel rivet for a life time of use.